So You Didn’t Get Into OT School…Now What? 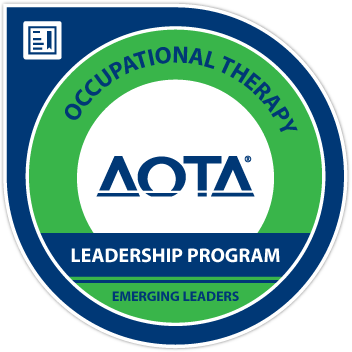 Not that long ago, you were busy getting observation hours, requesting letters of recommendation, navigating OTCAS, and submitting all your OT school applications. You had grand plans to move to a new town, start grad school, and prepare to join this profession you spent so much time reading, thinking, and learning about! So when you opened your inbox to an unexpected “We regret to inform you…” or “Welcome to the waitlist” email, you probably felt frustrated…disappointed…angry…maybe even heartbroken. For the next few months, you’re stuck somewhere between hopeless and hanging on – waiting to hear whether you’re off the waitlist, watching other people get their acceptances, wondering whether you’ll ever get your chance. Although I got into OT school on my first try, I had a previous experience with investing a lot of time and energy into an application for a program I was desperate to get into…and then getting rejected. So I know how it feels, and if you’ve had this experience my heart goes out to you! After getting rejected from that program several years ago, I spent a few days crying and wallowing. And then I picked myself up and tried again. My rejection from that program actually turned out to be a huge blessing in disguise; when I was accepted into a similar program the next year, it ended changing my life, introducing me to people who are some of my best friends today, and giving me opportunities to go places and do things I would never have been able to do otherwise! Life always has a way of working out, and once you get over the initial sting of rejection you will find a way to carry on. Although it’s disappointing to learn that you are on the waitlist or you weren’t accepted at your chosen school(s), the tips below can help you make the most of this opportunity to strengthen your application and prepare yourself for the next application cycle.